Hope you were able to attend our annual meeting at the Squire's Tavern on Saturday, September 10, 2005. After a short business meeting and election of officers, Historical Society President Walt Landgraf lead a hike from the Tavern down to the Farmington River. We learned about the land near the tavern: from glacial times thousands of years ago down to how occupants of the Tavern farmed the area. After the walk we all enjoyed a picnic lunch on the grounds of the Tavern and celebrated Barkhamsted's 226th anniversary with a huge cake. 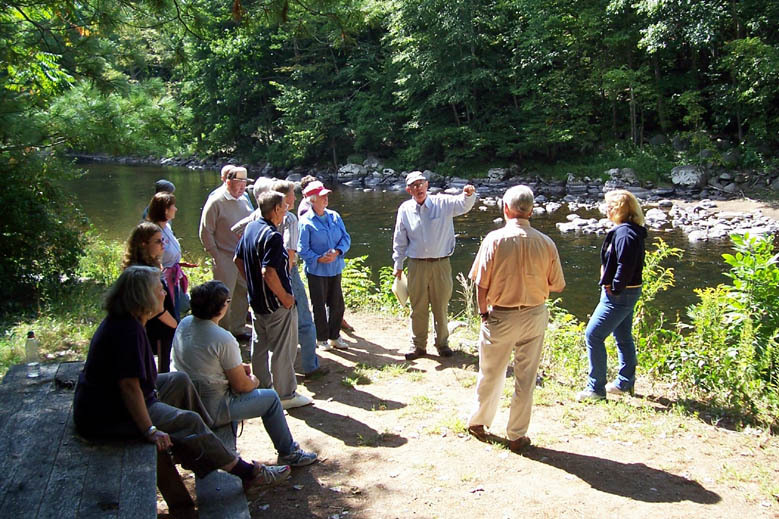 Photo above- Walt Landgraf leads a tour of the area around the Squire's Tavern including this spot on the Farmington River. 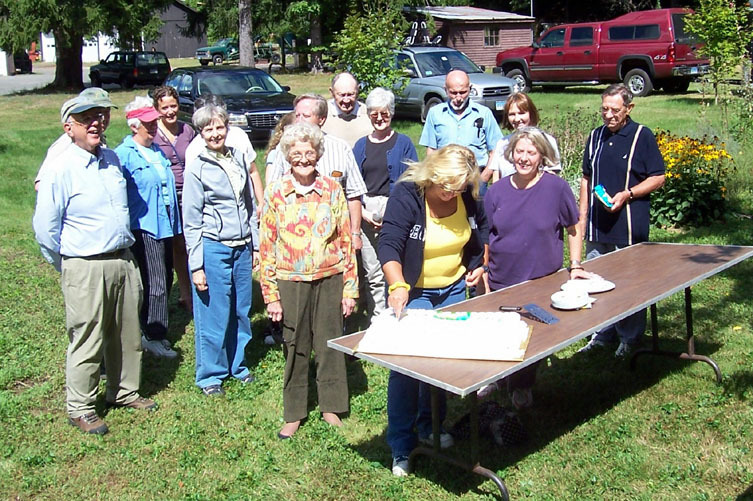 Photo above- A hungry group looks on as the Barkhamsted birthday cake is cut. Where are the 226 candles?